MENTOR: The National Mentoring Partnership is the unifying voice for the youth mentoring movement. Research shows that young people who have a mentor are much more likely to participate in after-school activities, be leaders in clubs and teams, volunteer and go on to college. But one out of every three young people will grow up without a mentor. 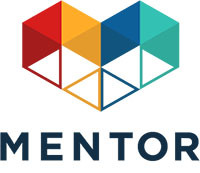 MENTOR and its network of affiliate Mentoring Partnerships provide a range of resources and tools to help to close this mentoring gap.